NOTE: The dressing says to use canola oil. Most of us would rather use a more healthy oil like olive oil, but if you intend to refrigerate your dressing, don't do it. Olive oil, when cooled, hardens making for a very unpleasant dressing. Cut bread into desired size chunks and set them in a metal baking sheet. Drizzle olive oil overtop and add your herbs. Stir to distribute the oil. 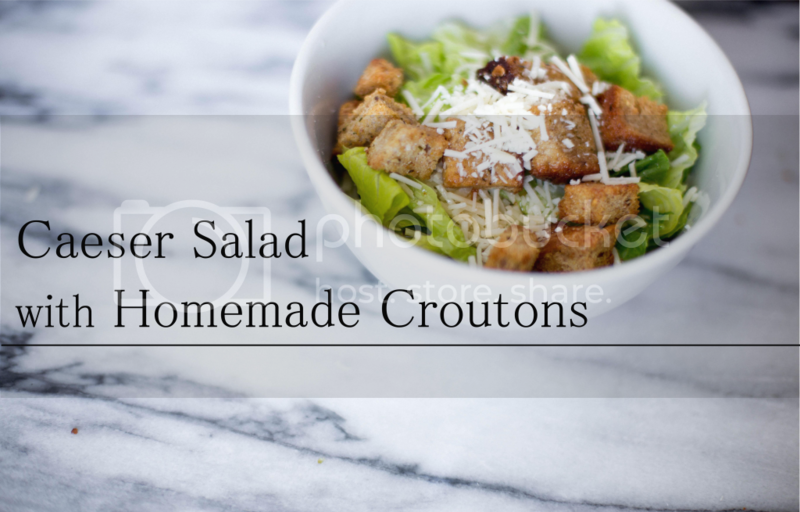 Place croutons in a preheated 350 F oven for 15 to 20 minutes until golden brown and crunchy. Place all of the dressing ingredients in a shaker (or an old olive oil container works too) and shake vigorously until combined. 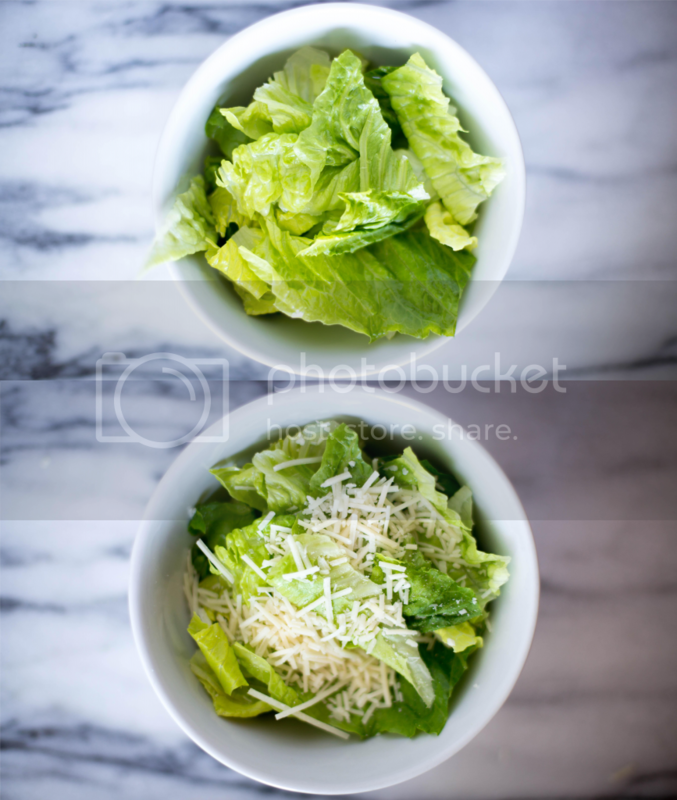 Break apart the lettuce and put it in a large bowl. 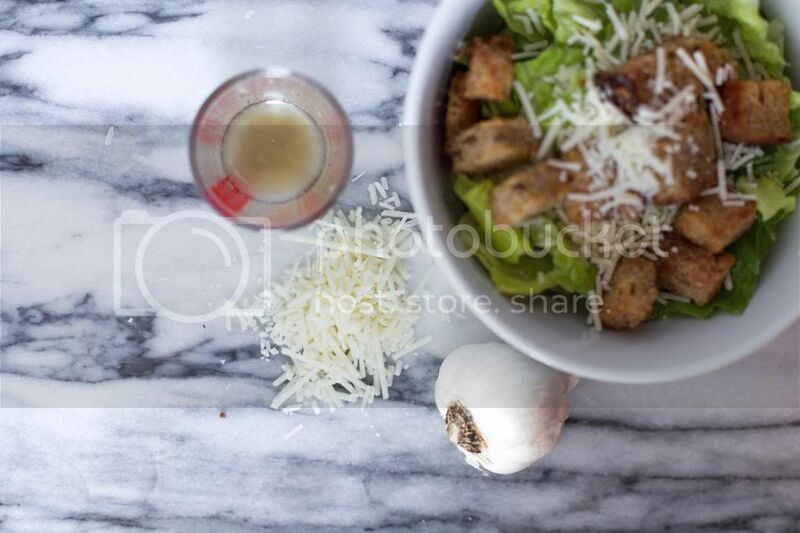 Add the parmesan cheese, croutons, and dressing (make sure to shake the dressing before you drizzle it on top because all of the garlic goes to the bottom very quickly). Serve and enjoy! 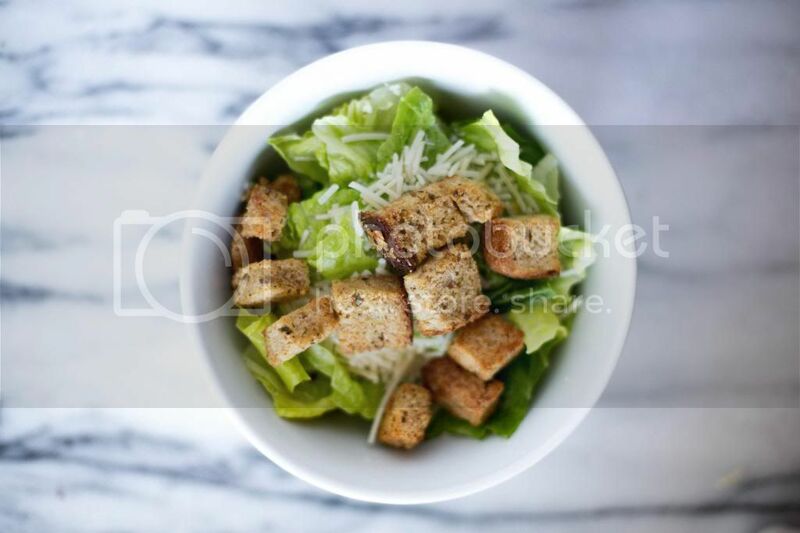 Caesar Salads: the ONLY salad I will eat and enjoy :) Gosh golly, they're the best! I think I may have to try your recipe for the dressing, since we've been looking for a new recipe, too. i will never not love a caesar salad. like, everytime i go to olive garden, the only thing i eat is their salad. it's ahh-mazing. and i am so going to have to make my own croutons. Ooh, I've wanted to make my own croutons for a while now, but they intimidate me for some reason. I love how you made your own croutons! This all looks delicious!!! !